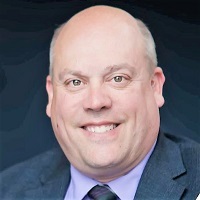 Mark Swanson (CMQ/OE, CQE, CBA) is the President and lead consultant of H&M Consulting Group; a group focused on helping small to mid-sized companies have the same regulatory and quality systems knowledge as the large medical device companies. Mark has almost 20 years of experience in the medical device industry including all quality roles. He is a senior member of ASQ, corporate AAMI member (serving on several AAMI committees) and a RAPS member. Mark has spent the last six years as an active member of ISO Technical Committee 210 (TC210), Working Group 1 (WG1) working on the revision of ISO 13485:2003 that was published on March 1, 2016 and has also participated with ISO TC176, WG24 on ISO 9001:2015. He has continued this work in Working Group 6 working on the guidance for post-market surveillance. This work includes discussions regarding the impact of changes in the ISO quality management system standards, the integration of various standards and how to effectively integrate these various international standards and other regulations into a single quality management system.